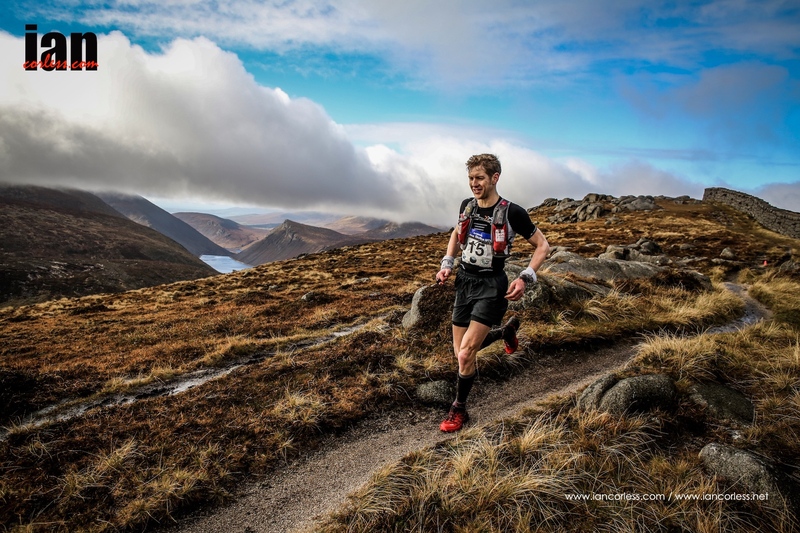 Iain Bailey and Diane Wilson were the 2015 champions for the 2nd edition of the Mourne Skyline MTR, the 6th and final race in the Skyrunning UK calendar. 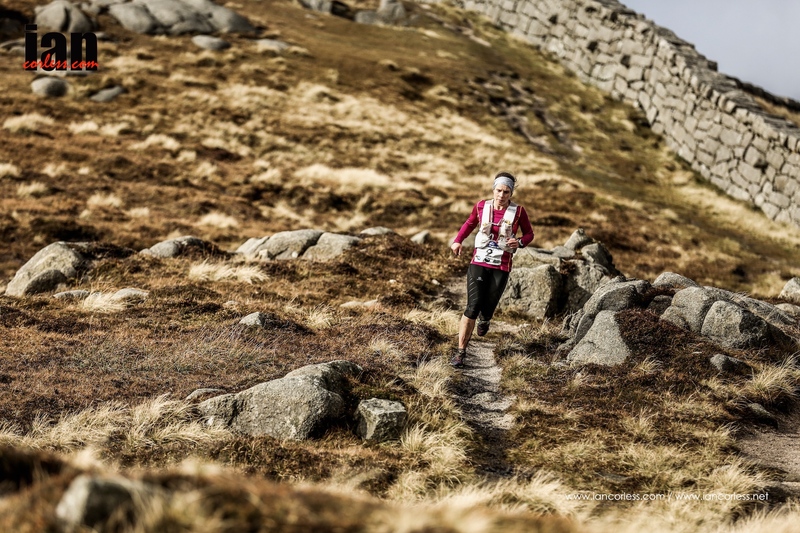 Considered by many to be Northern Ireland’s toughest and most challenging race, the Mourne Skyline MTR covers 35km’s with a whopping elevation gain of 3370m. 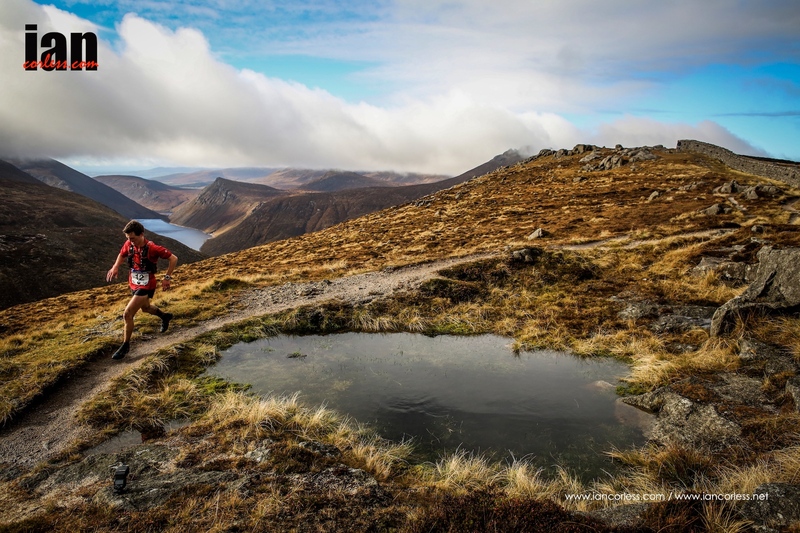 Starting and finishing in the seaside resort of Newcastle, the race is now considered to be a highlight not only of the Skyrunning UK calendar but also the racing calendar in Northern Ireland. The first edition of the race was made especially difficult with gale force winds that at time lifted runners off their feet and ‘helped’ them along the course. 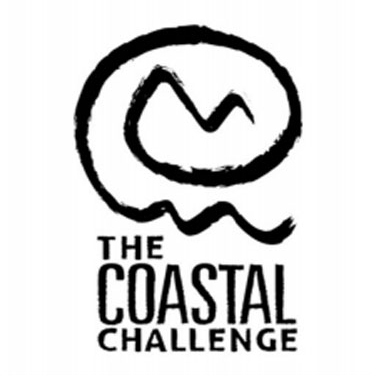 It looked like a repeat day was in store for the 150-runners who would tackle the 2015 edition when overnight wind and rain battered the coastline. At 0800 leaving the promenade of Newcastle, the cold temperatures, strong winds and light rain certainly added to the trepidation of a tough day in the mountains. From the off, Dan Doherty dictated the men’s race but he was closely followed by the day’s main protagonists of Eoin Lennon, Ian Bailey, Jayson Cavill and Ally Beaven. 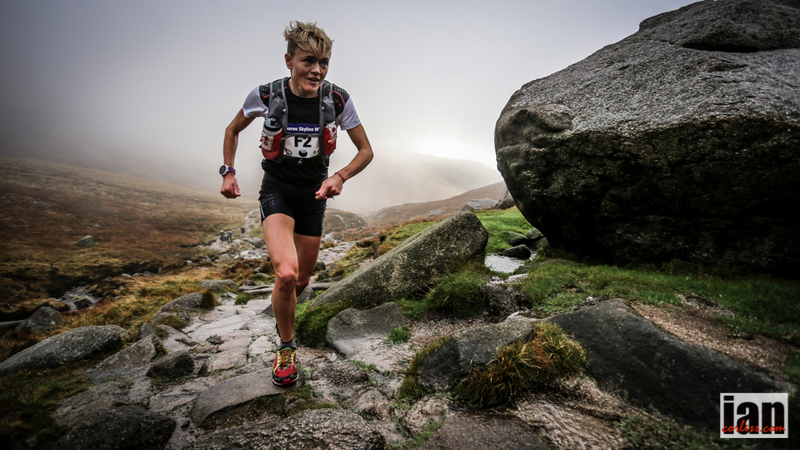 For the ladies, Shileen O’Kane pushed the early pace ahead of Lizzie Wraith and Diane Wilson. 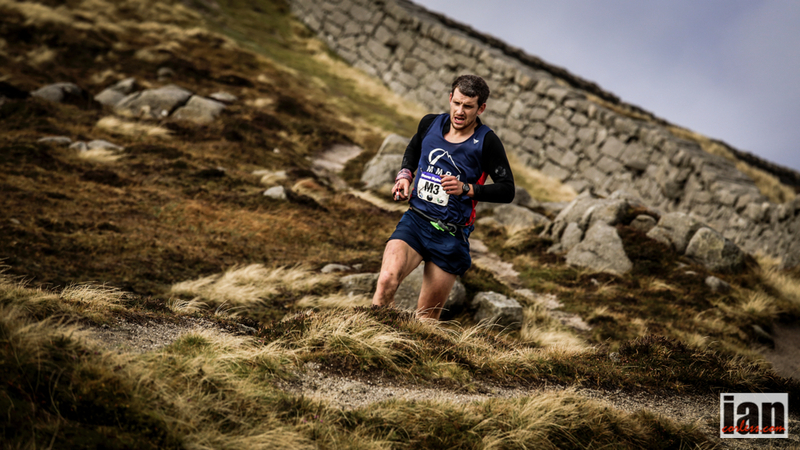 At the col between Slieve Donard and Slieve Commedagh, with 6.6km covered, the action started to unfold as the runners headed out on the more demanding sections of the course. Climbing the rocky and technical Slieve Meelmore, the real race started to take place but at all times the main protagonists jockeyed for position. Iain Bailey and Diane Wilson took the respective race leads for the men and the women and this coincided with the skies clearing and the arrival of the sun. 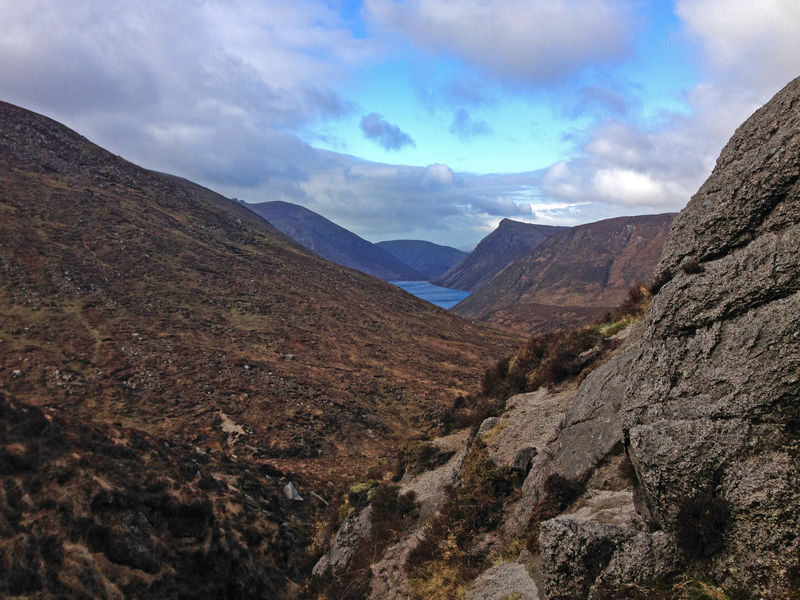 Finally, it was possible to see out across the stunning Mourne Mountains and take in the beauty this area has to offer. The sea glistened in the distance and the yellow and amber colours of the terrain provided a stunning backdrop to hard, tough and technical racing. Overnight rain had made the course exceptionally difficult under foot and many runners commented post race how challenging it was to remain upright while descending. Slieve Bearnagh offered one of the toughest climbs of the day and then a drop down to Hare’s Gap where the ever-present Mourne Wall then guides the runners to Slievenaglogh, Slieve Commedagh and then final push of the day up and over Slieve Donard (2788ft) before dropping all the way down from the summit to the finish line in Newcastle. Pre race favourite Dan Doherty went to through a bad patch in these sections as he chased Iain Bailey who had a convincing lead of well over 5-minutes, “I am lacking energy and feeling tired,” Doherty shouted as he ran past hotly pursued by Ally Bevan, Eoin Lennon and Jayson Cavill. One would have thought that Doherty would not hold on to 2nd but he found the energy from somewhere! Bevan, Lennon and Cavill contested the final podium place and it was a close battle before Lennon found that extra few percent to open up a gap. Bevan looked secure for 4th but a charging Cavill looked like he may well have upset that as he raced for the line. Bevan held off for 4th by just 7-seconds. Although the start of the day was a tough one many commented that the conditions after a couple of hours of running were considerably kinder than the 2014 edition when the gale force winds battered the runners, this was reflected in a new course record by Iain Bailey of 3:51:22. A notable mention must also go to Garmin who for the first year sponsored the Mourne Skyline MTR and the input of the GPS watch brand was instrumental and securing a 30-minute program on the race for channel 4 TV. 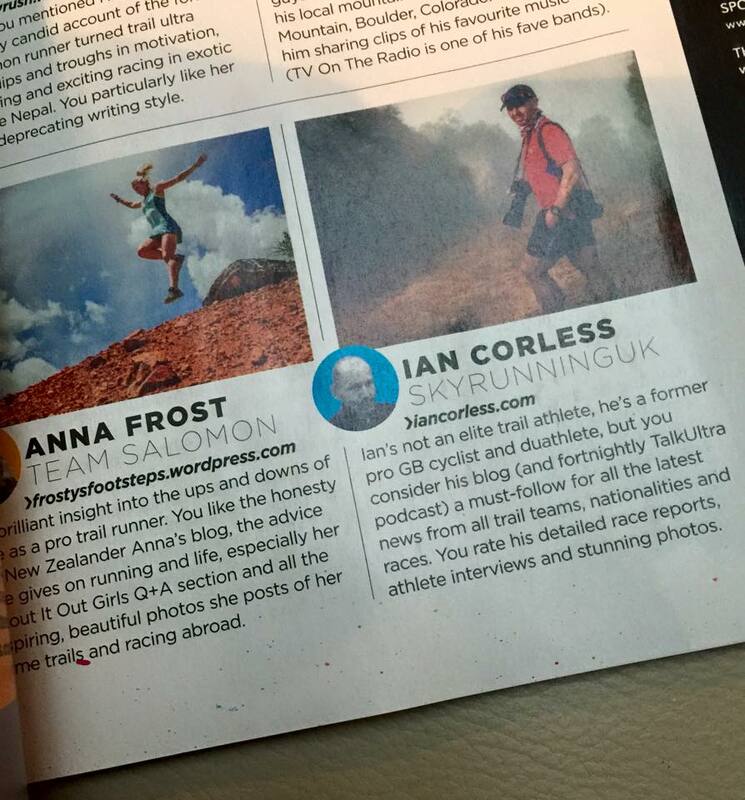 Needless to say this will be a great boost for the race, running in Northern Ireland and Skyrunning UK. The program will be televised in November and we currently have a possible date of 8th. 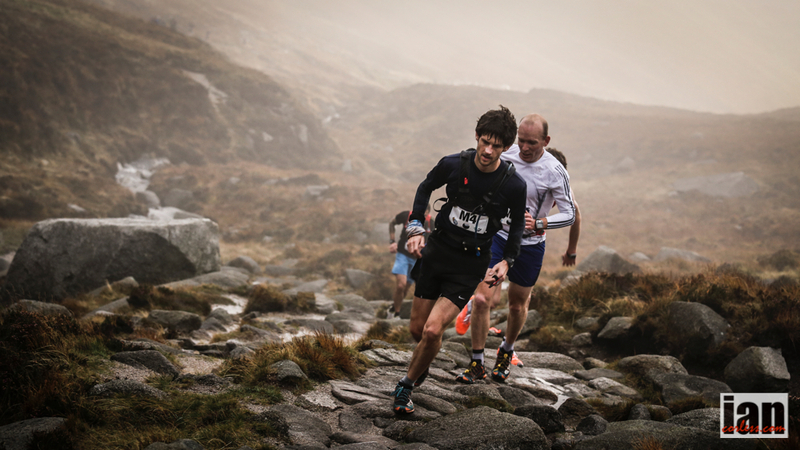 Ryan Maxwell, race director for the Garmin Mourne Skyline MTR provides an insight into the racing that will take place in the Mourne Mountains of Northern Ireland this weekend. 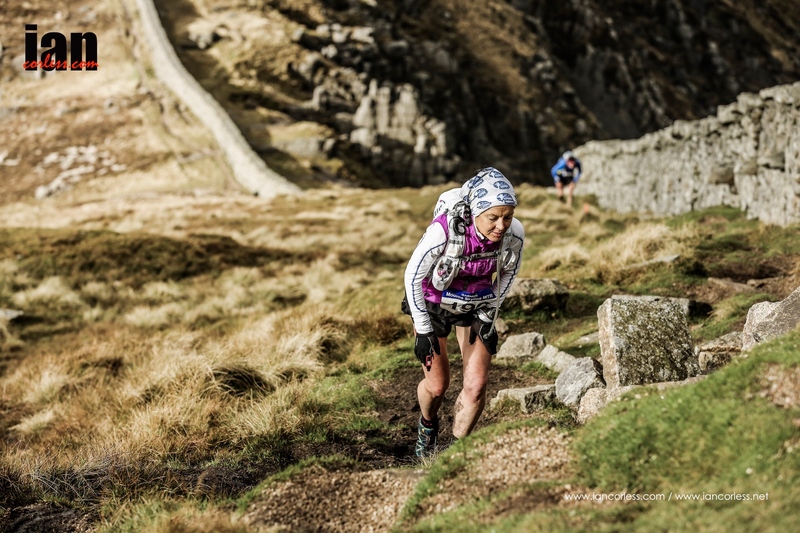 The Skyrunning UK series comes to a great conclusion for 2015 with its 6th race. 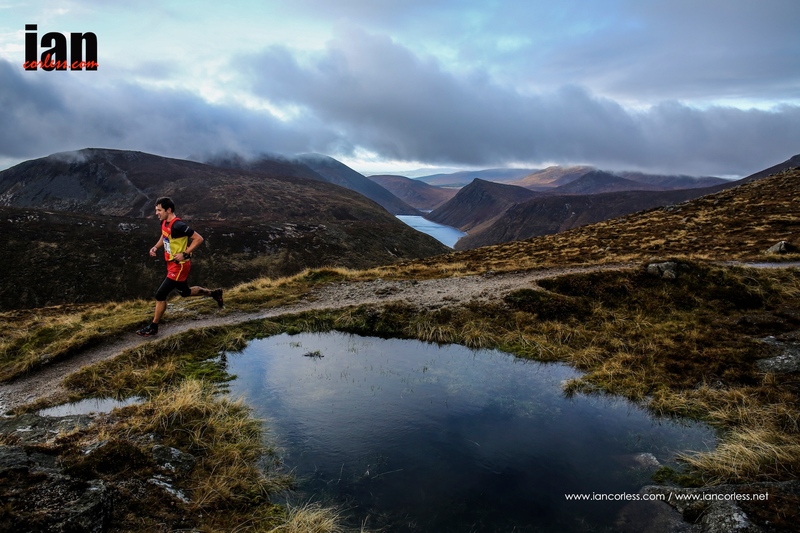 The eyes of the Skyrunning world will be on Northern Ireland, and in particular, the stunning Mourne Mountains, as the 2nd annual Mourne Skyline Mountain-Trail Race once again attracts a plethora of talent from across the globe. The event will be filmed by Channel 4 and broadcast in November 2015. 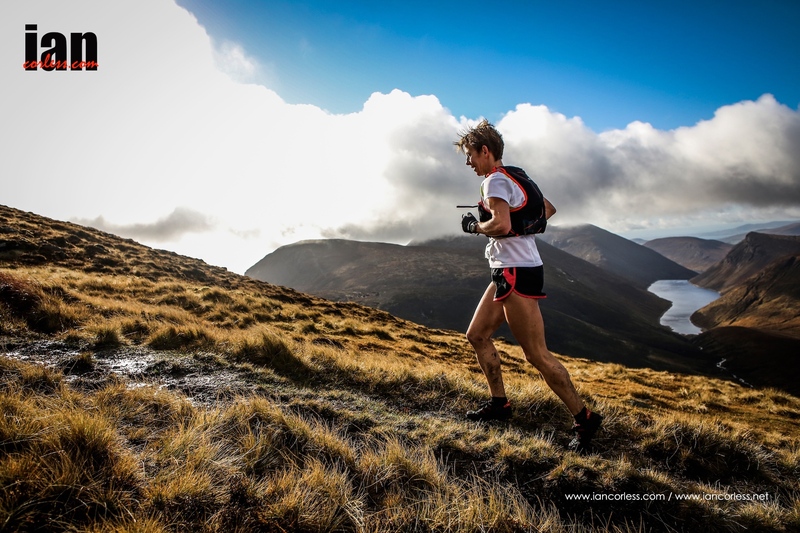 This year, world renowned producers of innovative GPS products for the recreation and wellness markets, Garmin, have come on board to support the event, which is now named, the Garmin Mourne Skyline Mountain-Trail Race. 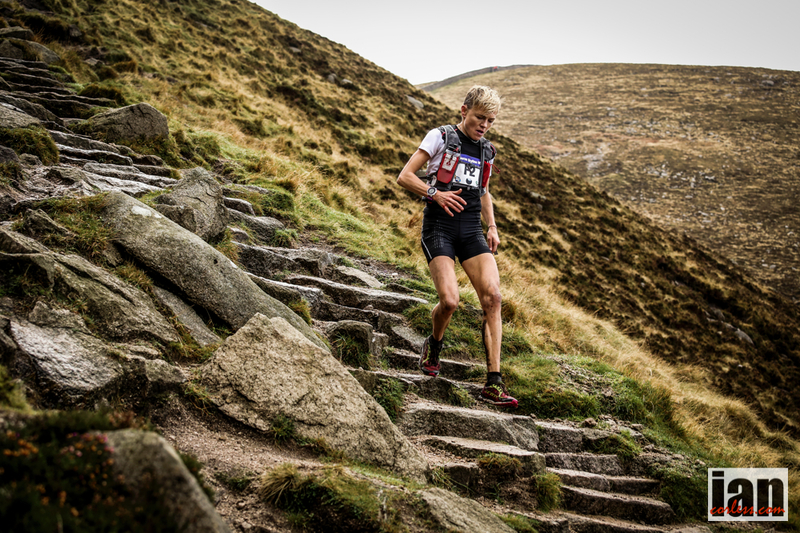 Closing the 2015 Skyrunning UK season, action will kick off at 7.30pm on Friday 23rd October 2015. 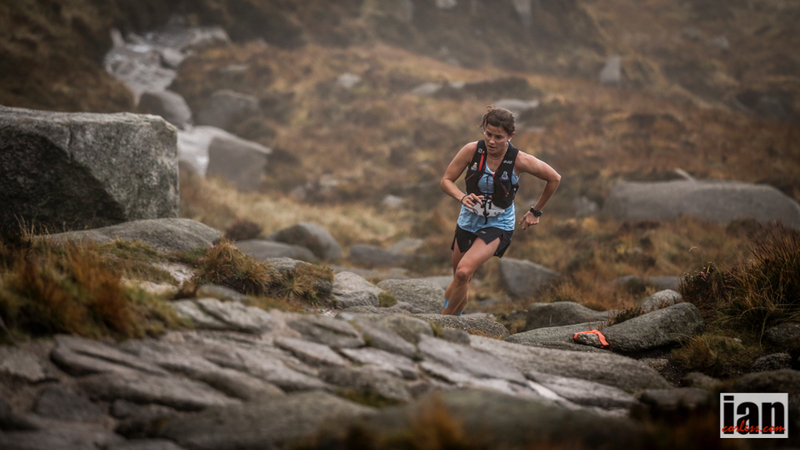 Close to 100 competitors will take on the unique ‘Granite Trail Race’ (‘GTR’), a 2 mile uphill only event, starting on Newcastle Promenade (County Down) and finishing approximately 1,000ft above sea-level at Millstone Quarry. The impressive field will be headed by Northern Ireland international Seamus Lynch (Newcastle AC) and winner of the Mont Blanc 10k, Paul Navesey (Centurion Ultra Running Team). 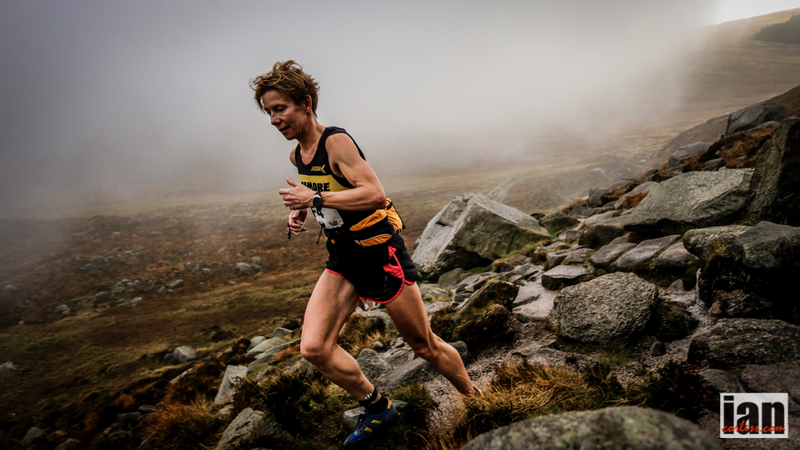 The ladies race will include highly respected European Cross Country (team) and World Mountain Running Championship (team) medallist Sarah McCormack (Ambleside AC and Ireland) who just last month secured a top ten place at the World Mountain Running Championships in Wales, finishing just ahead of former World Champion Kasie Enman (USA). 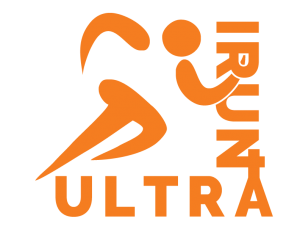 Sarah will be joined on the ‘GTR’ start line by the in-form NI & Ulster Half Marathon medallist Laura Graham (Mourne Runners). 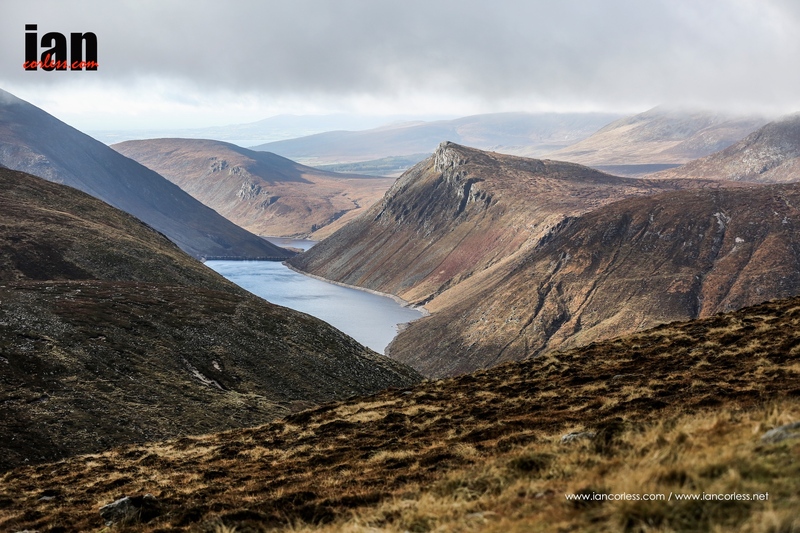 On Saturday 24th October 2015, the Garmin Mourne Skyline MTR will see 200 hardy competitors from fourteen countries cover a gruelling but incredibly scenic and rewarding 35k course, which incorporates 3,370m of ascent. 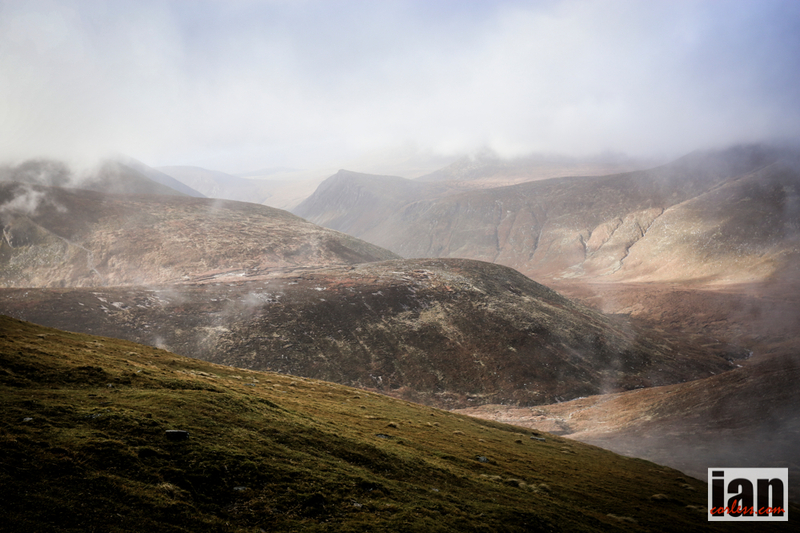 Northern Ireland’s highest mountain, Slieve Donard, which stands at 850m above sea-level, will be the final peak, before the athletes descend quickly into the Donard Park finish area. Although last year’s worthy Champions and course record holders, Kim Collison (England) and Stevie Kremer (Team Salomon), are unable to return to defend their titles, this year’s race will undoubtedly provide the same exciting spectacle. There are at least thirty athletes who have represented their country at international level due to start, meaning that both the male and female fields provide incredible strength in depth. 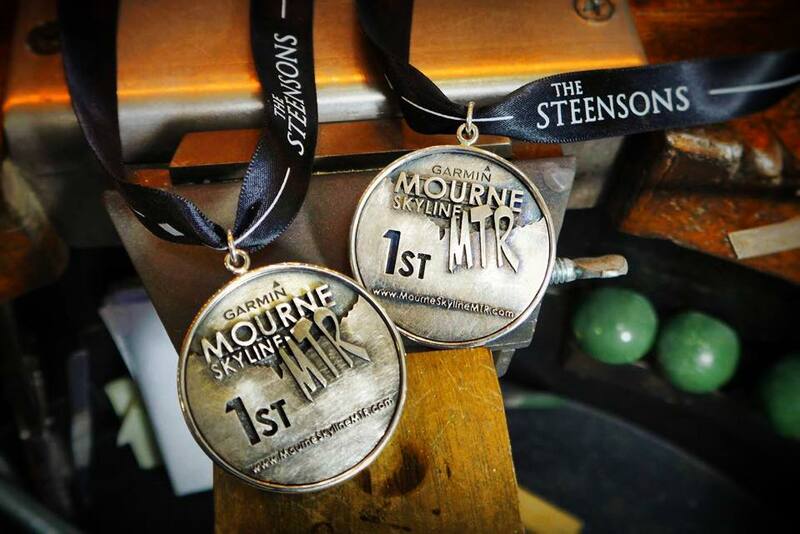 There really is all to play for ahead of this event, and here are some of the athletes who will be gunning for the honour of being crowned Garmin Mourne Skyline MTR Champion. Dan Doherty (Scott Trail Team), Paul Tierney (Ambleside AC), Jayson Cavill (Ultra Runner Store Trail Team), Eoin Lennon (Carnethy HRC), Ally Beaven (Unattached), Iain Bailey (Newcastle AC), David Steele (Newcastle AC) and Sam Herron (Mourne Runners) look to be the strongest candidates for the podium places in a field littered with talent from across the globe. Irish international Dan Doherty has increased his profile considerably since stepping onto the international stage in 2011. His 17th place finish at this year’s IAU Ultra-Trail World Championships in France cemented Dan as one of the UK and Ireland’s most respected ultra-distance athletes. 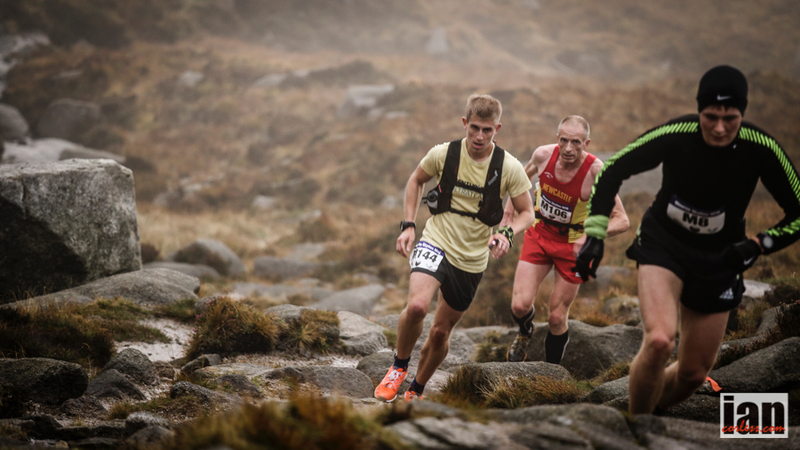 The 2013 Anglo-Irish Plate winner also impressed at the gruelling Tor Des Geants, where he worked his way through the field to move into 2nd place before a knee injury cruelly ended his race with approximately 100k to go – 12 months earlier, Dan had claimed the runners up spot at the 330k event, which includes an incredible 24,000 metres of ascent. 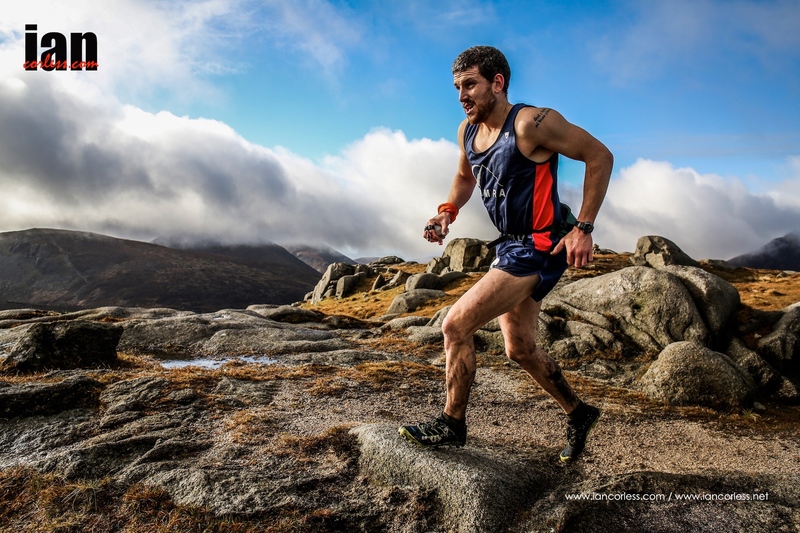 Dan’s Irish International teammate, Paul Tierney will also go into the event with confidence high after victory in the Lakeland 100 in the UK, a top placing at the Skyrunning UK Lakes Sky Ultra and representing Ireland at the IAU Ultra-Trail World Championships. 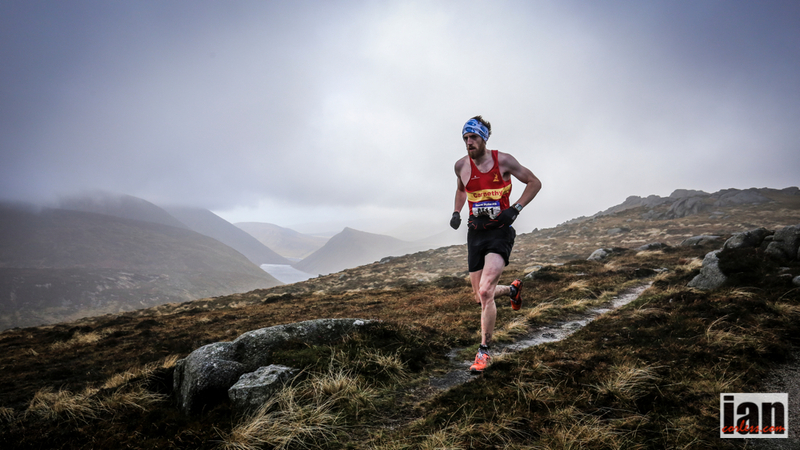 Scotland based Northern Ireland man Eoin Lennon has been in the form of his life since claiming the runners up spot at the Mourne Skyline MTR in 2014 – Eoin recorded 3:59:42 to finish behind Kim Collision and has went on to impress at several notable events, this includes a 4th place finish at the prestigious HOKA Highland Fling and a win at the recent Glencoe Marathon, both in Scotland. Eoin has also shown his speedy edge with a 16:16 5k over the Summer. 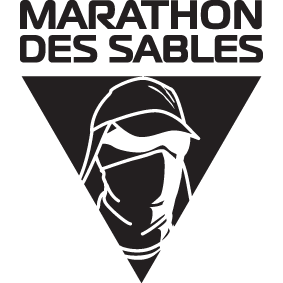 Newcastle AC men Iain Bailey and David Steele, and Mourne Runners’ Sam Herron will know this course better than most. All three will be in the mix for a high placing, but it’s Iain’s strength on the climbs that will ensure that he plays a prominent part in in the race for a podium place – he finished in 5th place at the British Championship event in the Mourne’s in August. If podium places were calculated for all of the Skyrunning UK events since the Series’ inception in 2014, Jayson Cavill would no doubt be one of the highest ranking athletes. 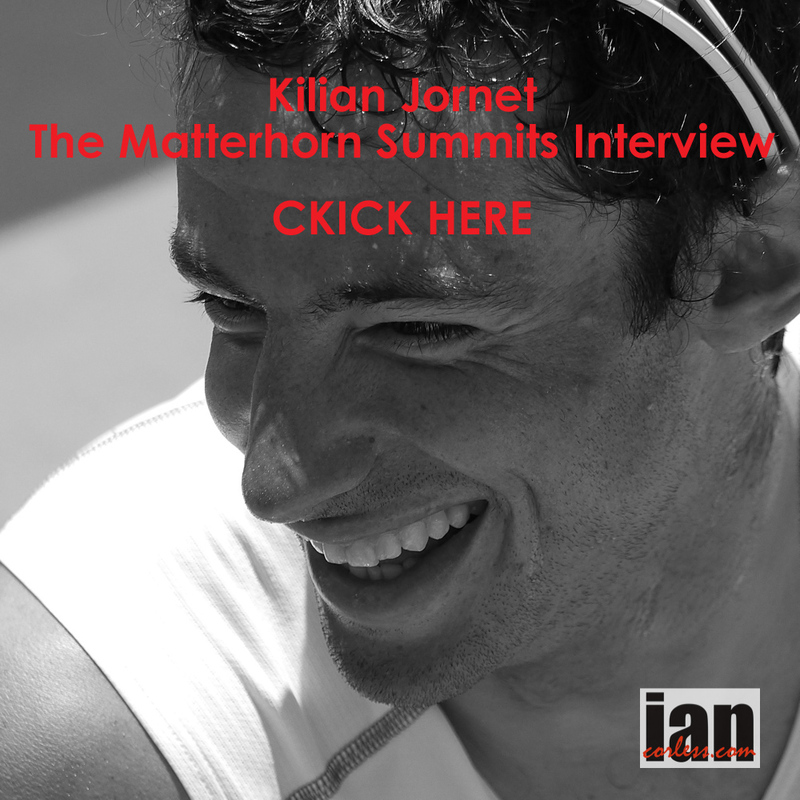 He (Jayson) is never off the podium and as per usual, deservedly claimed his spot there at the Salomon Glencoe Skyline event in August (2015), where he took 3rd place in the men’s race. Jason also won the Lakeland 50 in the UK. Steve Franklin (Totley AC), a 14th place finisher at the aforementioned Glencoe Skyline and top fifty finisher at the Mont Blanc Marathon, will finish well up the pack. The same can be said for 2014 4th place finisher Ally Beaven; despite focusing more on his training, rather that racing recently, Ally should be there or there abouts. Profeet UK athlete Victor Mound will also run well, as will Richard Ashton (Orion Harriers), Bjorn Verduijn (Shettleston Harriers), Barry Hartnett (Dundrum AC), Gary Bailey (Mourne Runners), Shane Donnelly (Acorns AC), Peter Cromie (Roe Valley CC), Billy Reed (East Antrim Harriers) and Dale Mathers (Mourne Runners). Team GB star Lizzie Wraith, a podium finisher at this year’s Dragon’s Back 200 mile race, will start as pre-race favourite. Despite the fact that Lizzie is used to covering much longer distances, it will be her ability to deal with the leg-sapping climbs and descents that may well just give her the edge. 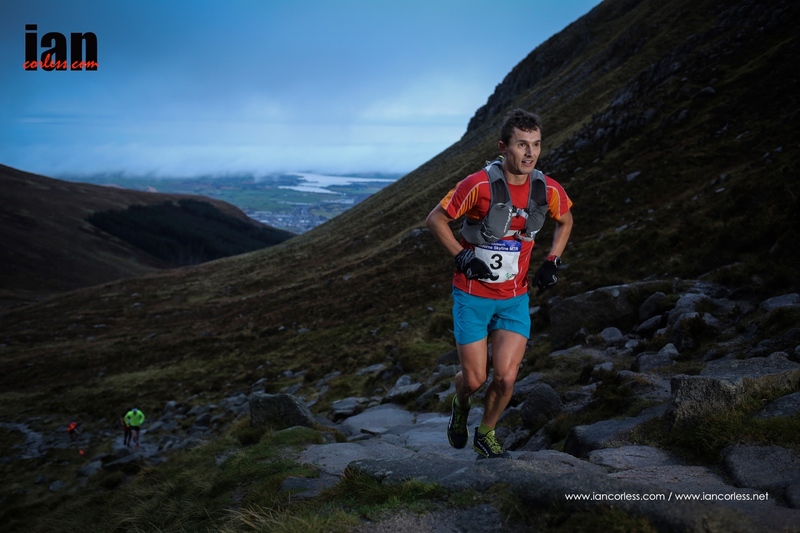 The Lakeland 100 winner (in 2013) is excited about visiting and racing in Northern Ireland for the first time and will prove difficult to beat. 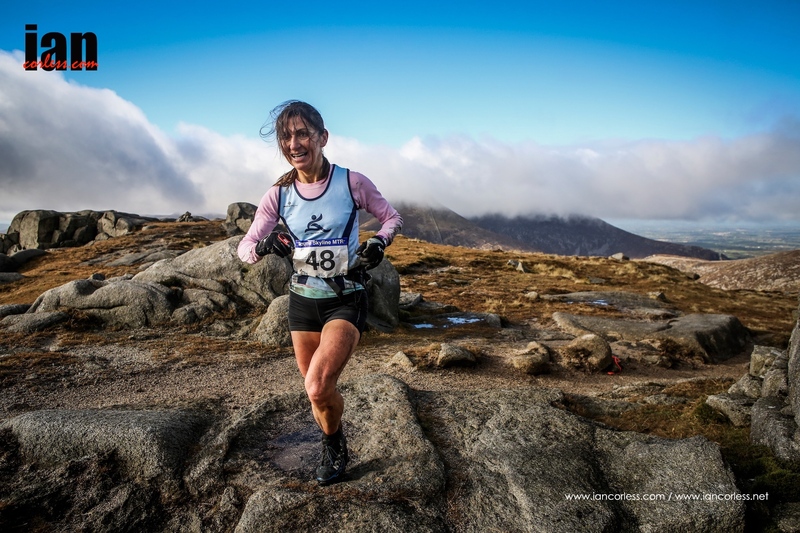 In saying that, local hero Diane Wilson (Dromore AC), winner of the Ben Nevis Mountain Race and a podium finisher at the Mourne Skyline MTR in 2014, knows exactly what to expect and is going into the event in the form of her life. Newly crowned Northern Ireland Mountain Running Association (NIMRA) Champion, Shileen O’Kane (Lagan Valley AC), will be another athlete who will be in the thick of the action, but the local lady, who won 5 NIMRA Championship races this term, will have to see off some formidable opposition if she wishes to secure a podium spot – none more so that Mynydd Du Mountain Runners athlete and recognised international Helen Brown, who secured 14th place in the World Mountain Running Championships less than four weeks ago. Interestingly, Helen has stepped onto the podium on three of the previous four occasions she has raced in Northern Ireland. 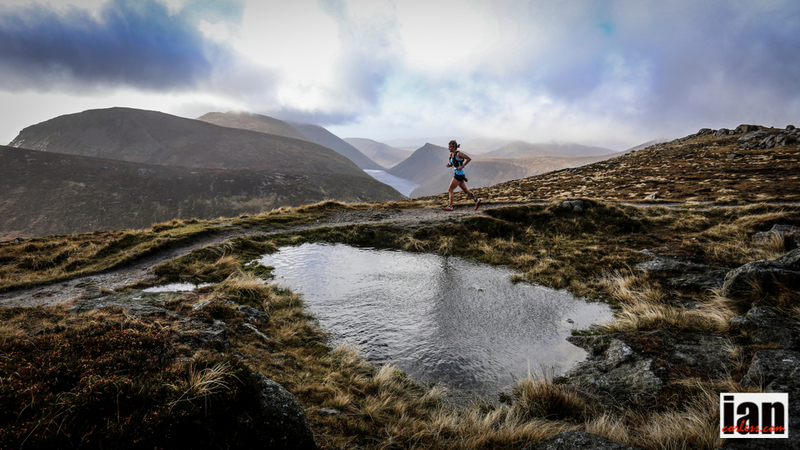 Arguably her best performance on these shores was a win at the Silent Valley Mountain Race in 2013, which was part of the British Fell Running Championships. Jacqui Toal (BARF) and Fran McFadden (Springwell Running Club) enjoyed an epic dual at the 26extreme Causeway Coast Ultra last month (September 2015), with Jacqui coming through to win late on after Fran had led from the off. 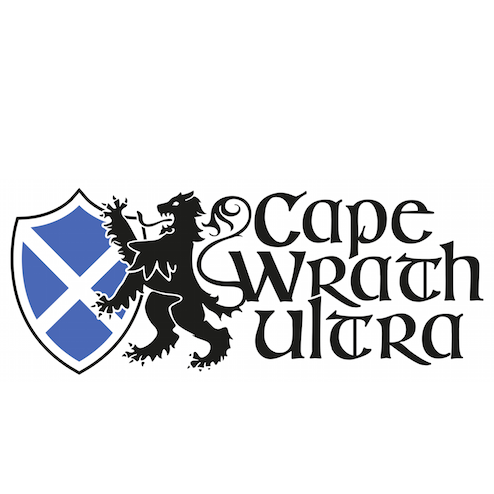 The pair will resume battle here and will be joined by another highly respected ultra-distance athlete, Comrades finisher and podium regular Joanne Curran (BARF). Aisling Allum (Carnethy HRC) will be one to watch – after moving to Scotland earlier this year, Aisling has shown superb improvement and less than four weeks ago, the former triathlon star picked up a prize at the Glencoe 10k, after finishing in 3rd place. Aisling will smash her 5:54:43 clocking from 2014, which saw her take 10th place in the ladies race. Lagan Valley AC’s Hazel McLaughlin will claim a top ten place, while Ireland based ladies Jolene Mellon (Unattached) and Elizabeth Wheeler (Unattached) will be hoping for the same. Versatile Springwell Running Club athlete Sonia Knox will go well, as will 2:50:52 marathoner Georgia Wood (Unattached) and local ladies Taryn McCoy (BARF), Paulette Thomson (Newcastle AC) and Anne Sandford (Lagan Valley AC). View the galleries from the 2014 edition of the race, Stevie Kremer and Kim Collison were the champions. 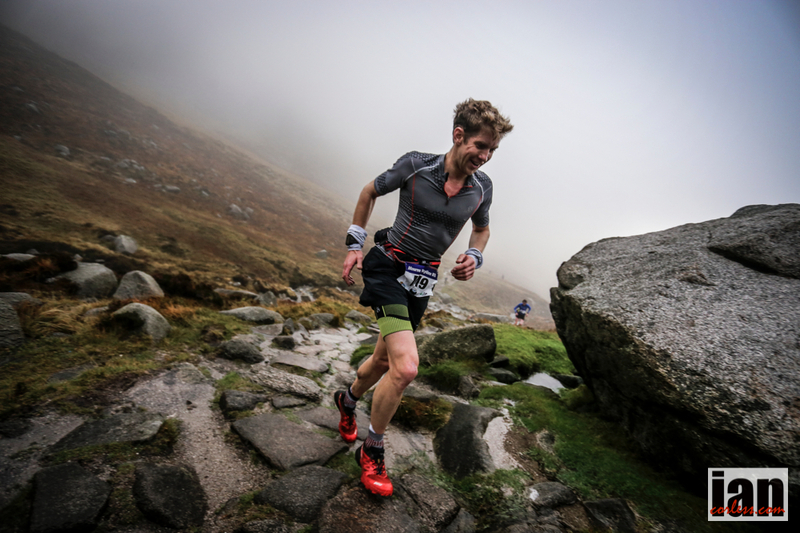 Skyrunning UK is pleased to announce the fourth race to join the Skyrunner® Series UK, the MOURNE SKYLINE MTR taking place on October 18th in Northern Ireland. 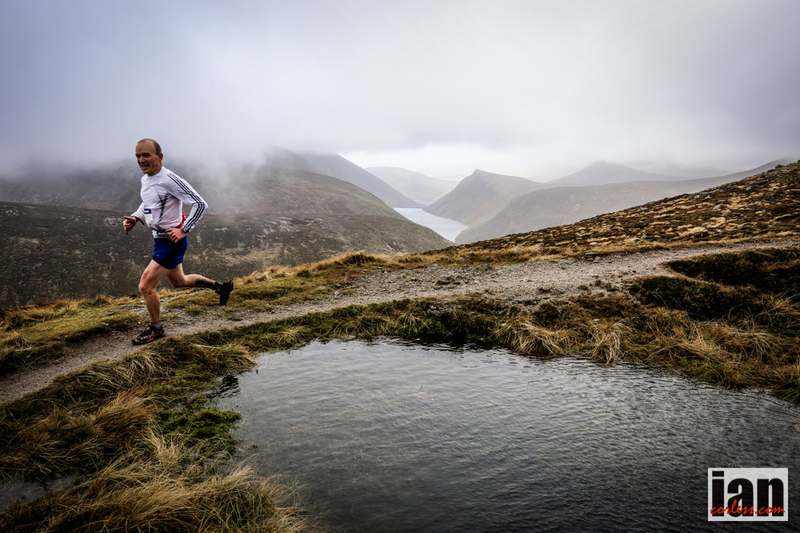 The Mourne Skyline Mountain-Trail Race is arguably Northern Ireland’s toughest and most scenic long distance race; the event is based in the Mourne Mountains, starting and finishing in the seaside town of Newcastle, County Down. Comprising mainly of forest paths, fire roads and single-track grass and granite trail, with approximately one mile on the road. The course measures 35k and there is approximately 11,056ft of ascent and 11,024ft of descent. The highest point will be 2,801ft and the lowest point is at sea level. 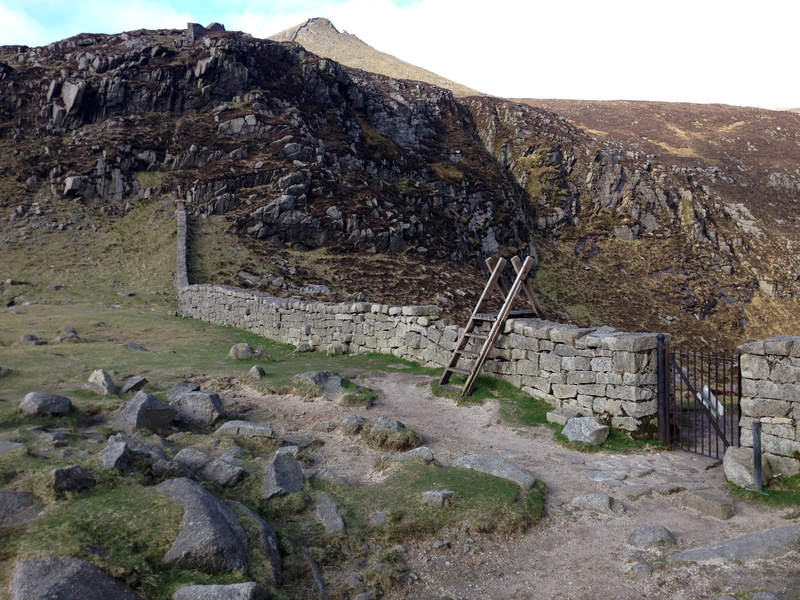 It has been no easy challenge putting together a race in this iconic part of Northern Ireland. 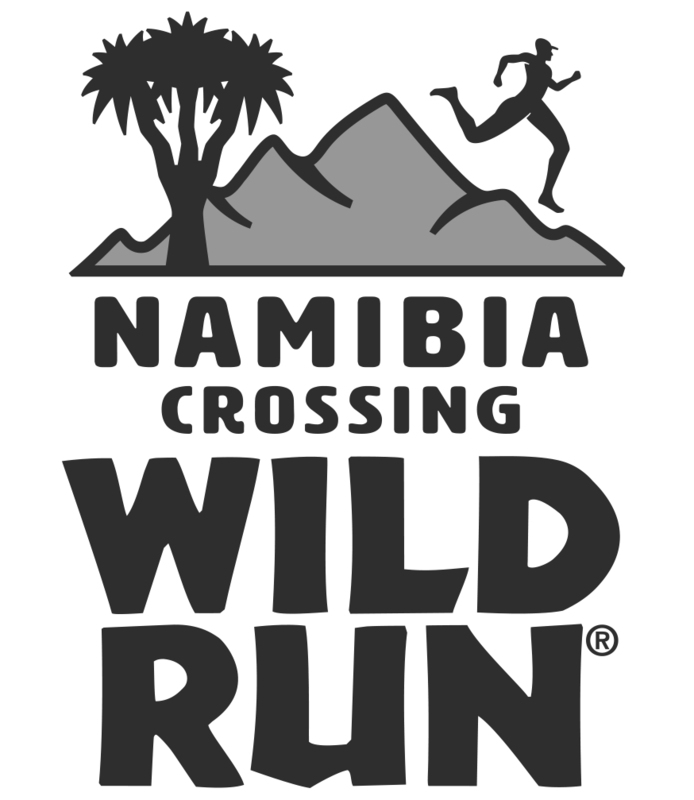 ‘It’s been a long process in relation to getting the event off the ground, because of the stunning nature of the course, and the fact that some of it is on protected land, we have been in discussions with various agencies. It has been worth it though, as we have got the course we have worked tirelessly to get,’ said race director, Ryan Maxwell. October may well throw up some challenging weather, we are all aware of that fact that there is as much chance of getting perfect weather conditions in October as there is in August, ‘we have gone into our race plan in-depth and brought a number of very experienced and well respected individuals on board to assist. The route will be very well marked and marshaled at key points. 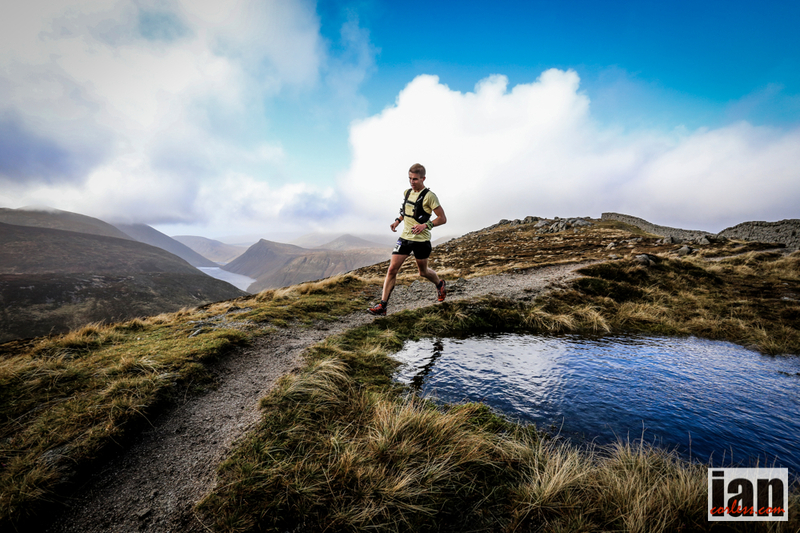 ‘The Mourne Mountains will provide many of us an opportunity to experience beautiful trails, mountains and scenery for the first time. For example I have never been to this part of the world. 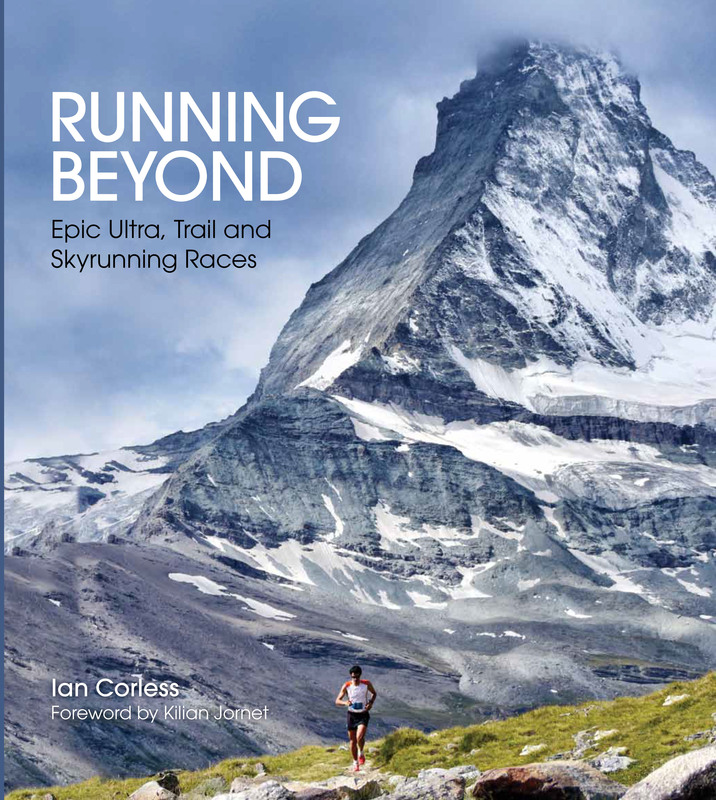 It’s an exciting opportunity,’ said Ian Corless, Director of Skyrunning UK. 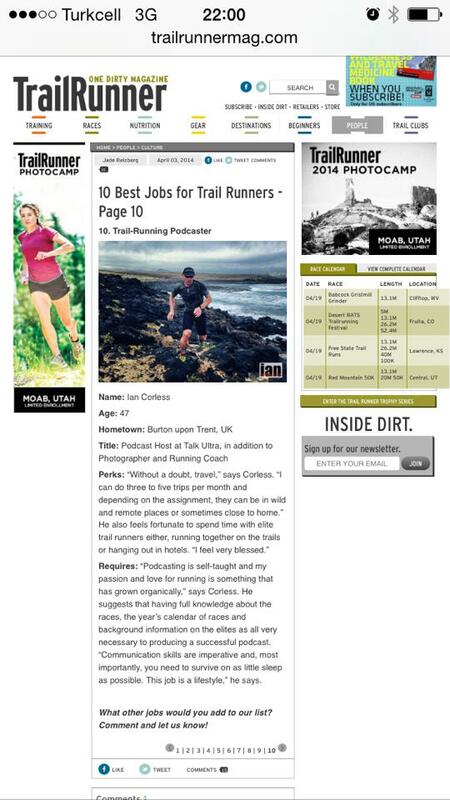 ‘Ryan and his team at NiRunning have worked tirelessly to get this race off the ground. It hasn’t been easy and the work ethic has paid dividends. 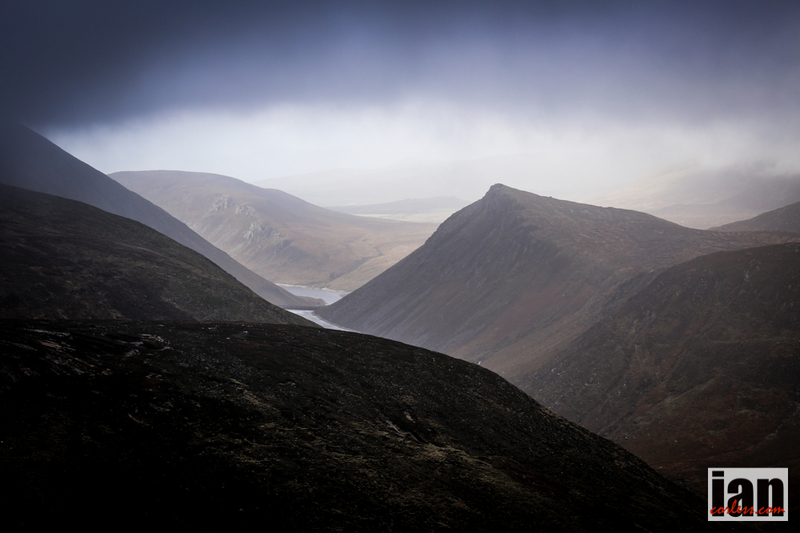 To be able to announce this race is a testament to a committed team and I for one can’t wait to experience Skyrunning in the Mourne Mountains. 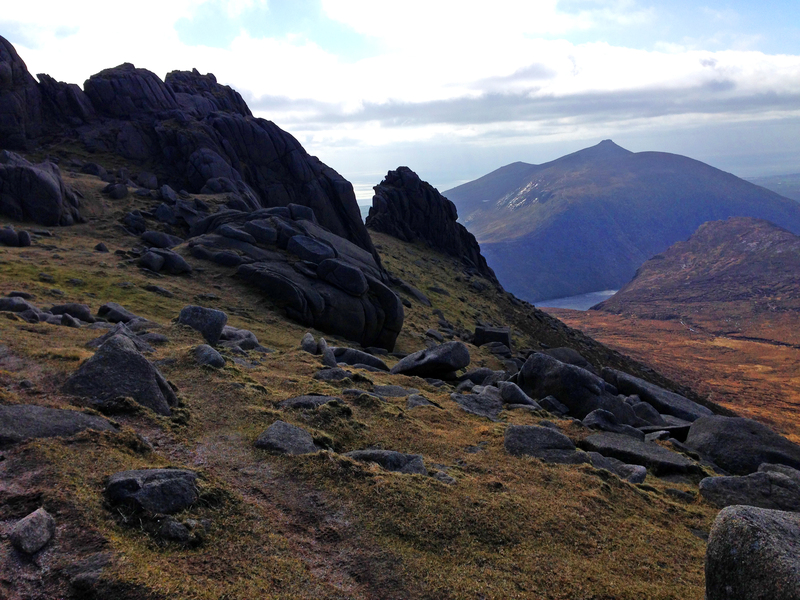 Entries open for the Mourne Skyline MTR on Wednesday May 28th on a first come, first served basis. 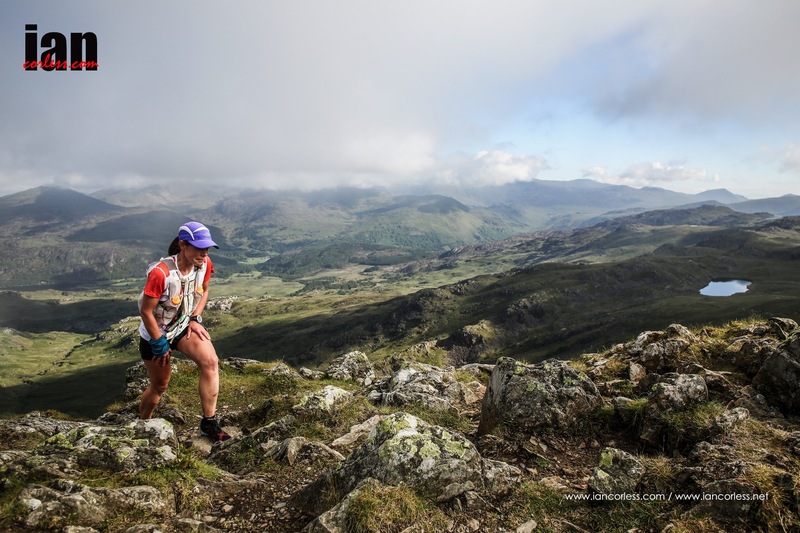 As a ‘SKY’ distance event it offers a great opportunity to test oneself in the mountains and of course, you may well wish to enter the Peaks SkyRace (August 3rd) with a long-term objective to accumulate valuable Skyrunning points. 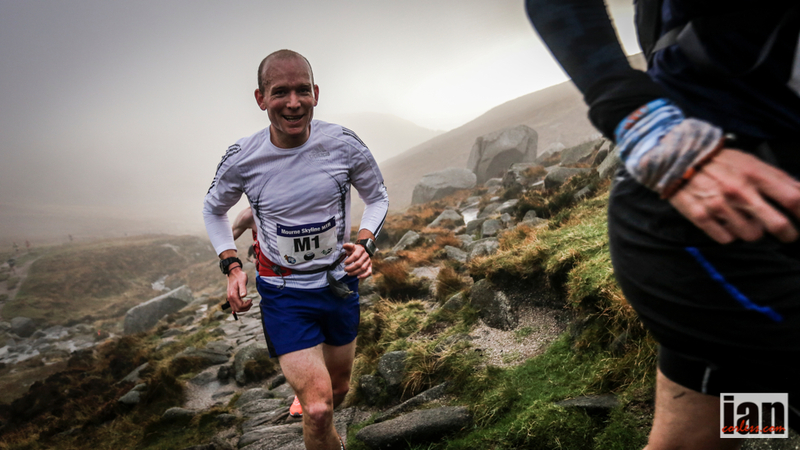 MOURNE SKYLINE MTR – The course will be 35k in distance, incorporating 3,370m (11.075ft) of ascending. The top first three male and female athletes will receive prizes. The generous prize-fund will be announced in the coming weeks. In addition to this, there will also be prizes for the male and female winners of the following categories: U-20, Vet35, Vet40, Vet45, Vet50, Vet55 and Vet60. The prize giving will take place in Donard Park (close to the finish area) at 2pm. Please note that only one prize will be awarded to each athlete; i.e. a Vet35 overall winner will NOT receive the top prize plus a category prize.